Craving blueberry pie à la mode? 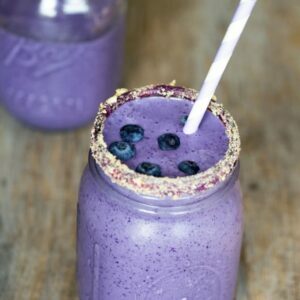 This Blueberry Pie Milkshake will satisfy that craving in a much quicker way! Pie in a jar is a thing. I know. But I prefer milkshakes in jars. Or in just plain old glasses. Or straight out of the blender and into my mouth. Not that I’d ever be a pig like that. At least not when anyone is home to see me. (which means you’ll never really know). Basically, what I’m trying to say is pie in jars is cool and all, but milkshakes in jars are better. So, pie milkshakes in jars are the ultimate. I clearly rocked my college logic class and even moved on to become a logic TA (wow, that sounds a lot nerdier when actually written down), but I don’t think you have to be a logic-tician to figure out that something cool and something way cooler make something that’s cool on a whole new level. 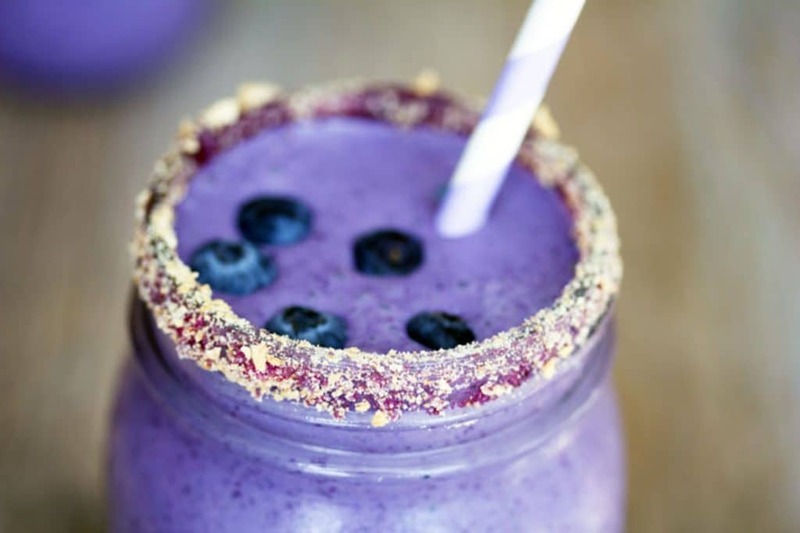 Like a blueberry pie milkshake. I never can decide if I like apple or blueberry pie the best. I think it probably depends on the season and right now it’s just about beautiful, glorious blueberry season. As someone who can eat blueberries by the bushel, I’m very happy about this change in the seasons. And you knew it wouldn’t take long for me to break out my blender for a milkshake since I never put it away, my milkshake making is so frequent. In case you’re worried (which I’m sure you’re not), I’ve already begun on the summer ice cream-making fun, too. This is going to be the year of frozen treats. I can feel it. And taste it. It’s going to be a good one. 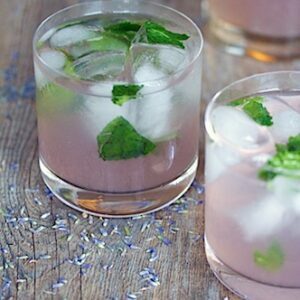 First you’ll want to make a lovely little blueberry syrup. Which resembles blueberry pie filling. And is delicious. Then comes the tough part: letting it cool. I recommend putting the blueberry syrup in a bowl and sticking it in the fridge. When it’s cooled to an acceptable temperature (i.e. 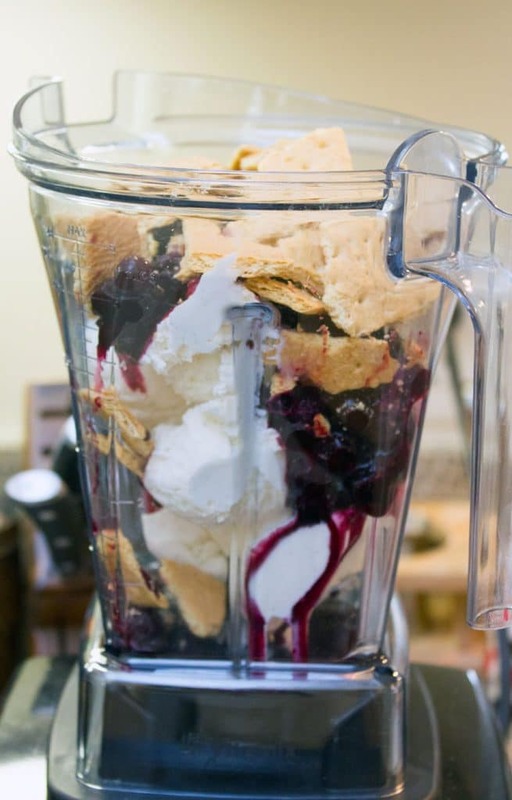 not hot to the touch anymore), you can get blending the blueberry syrup with the vanilla ice cream and graham crackers. This photo seriously makes me so hungry. 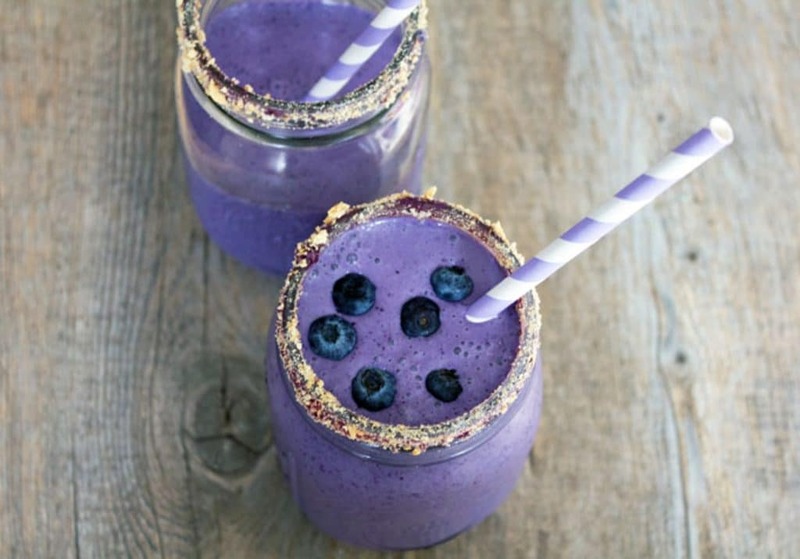 Who says blue/purple foods aren’t natural? I know the whole mason jar thing is such an overdone trend, but I’m pretty sure I won’t ever stop. Whenever I’m making a drink and have to get a glass out, I can’t resist the mason jar. They just look good. And who cares if everyone else is doing it, anyway? Do what you love. Oh, I forgot to mention that you should give your mason car (or glass. or blender) a graham cracker rim with that leftover graham cracker. I used a little of the blueberry syrup to get my graham cracker crumbs to stick. Right now, I’m trying my very best not to get sick. I’m knocking on wood as I type this (really), but I haven’t been sick since last May. A few weeks more and it will be an entire a year. I know I just totally jinxed myself, especially since I can feel my immune system declining (that’s a thing. I can really feel it); but I’m going to fight it with all I’ve got. And blueberries are packed with antioxidants. Soooo. Come on milkshake, don’t let me down. I might just eat the leftover blueberries by the handful now. Or find a way to inject them into my immune system. I’d probably leave the ice cream out… Though the extra calcium can’t hurt, right? This was way easier and faster to make them blueberry pie. And if you like your blueberry pie a la mode, this is basically that but in a mason jar. With no chewing involved. Not that I’m so lazy I wouldn’t chew a piece of pie. You know what I mean. Milkshakes are just always better. And even if I do end up getting sick, I’m pretty sure a purple milkshake would help make me feel much better! Pie, pie milkshake, or both? Combine blueberries, confectioners' sugar, and water in a small saucepan over medium high heat. Let the mixture come to a boil and then lower the heat and let it simmer for about 10 minutes, stirring from time to time, until the mixture thickens up and the blueberries start to burst. 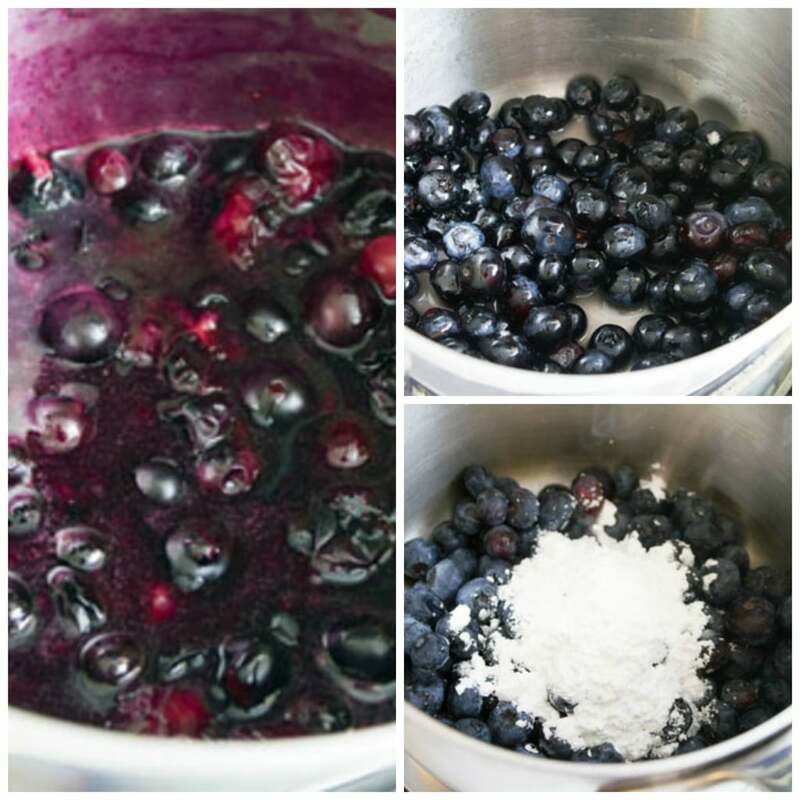 Remove blueberry syrup to a bowl and let cool. Once cooled, brush a little blueberry syrup on the rims of your glasses. Crush one of the graham crackers and place on a plate. Roll the rims of the glasses into the crushed graham cracker. 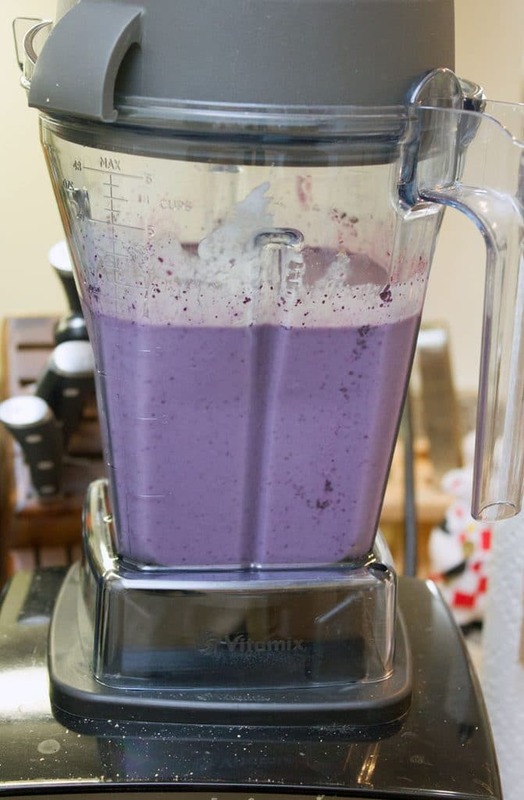 Put blueberry mixture, along with 3 cups of ice cream and remaining four graham crackers in a blender and blend until well-combined. Pour into prepared glasses. 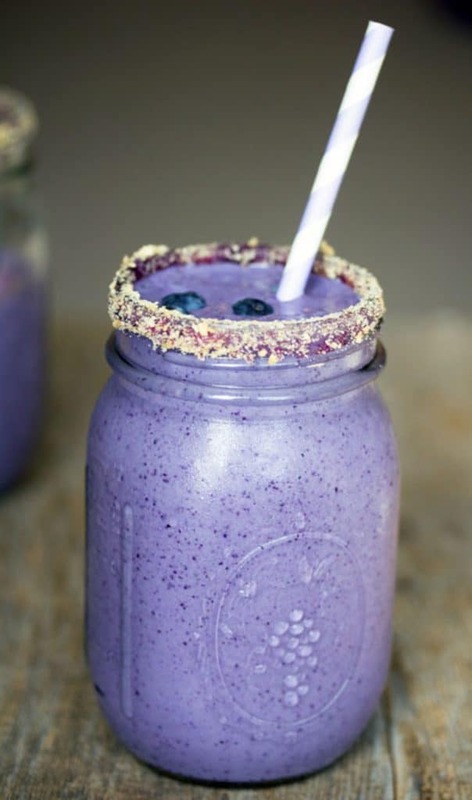 28 Responses to "Blueberry Pie Milkshake"
wow! what a fun drink!!! And I’m loving the graham cracker rim! Pretty drinks are the best! I’d slurp this right up!! Um, both! No way could I choose between the two! 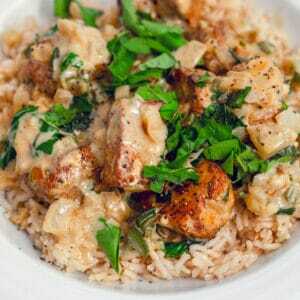 I love your recipe for this. I’m not into the trend of actually blending a slice of pie into a drink, but this sounds heavenly! 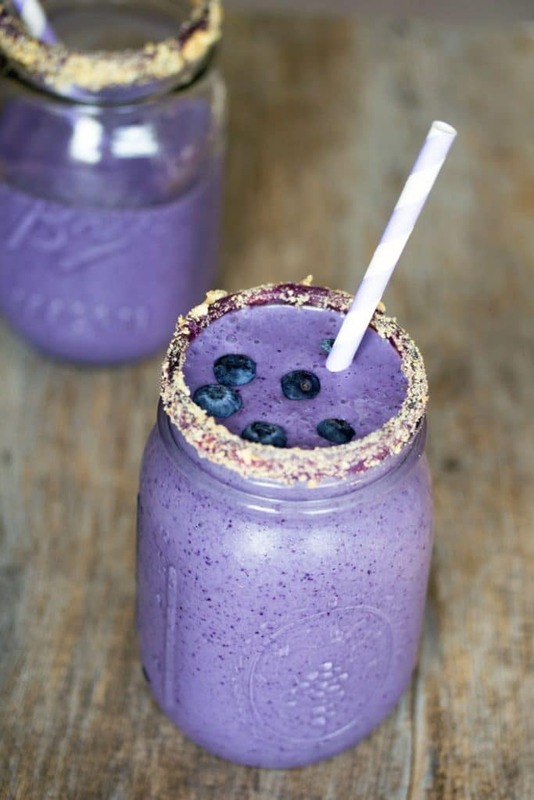 Holy lord, my husband loves blueberries and frozen treats, this is so genius, why did I not think of this already?! Must make. 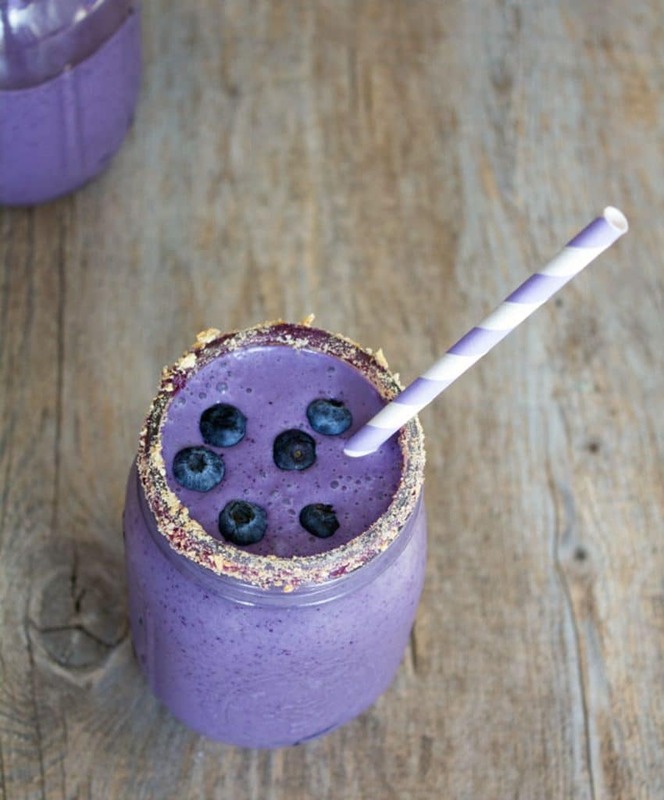 also, the purple striped straw! perfect! What a gorgeous color! You’ve definitely inspired my increased milkshake consumption, and I’m very happy about that! Can’t wait to see what ice creams you’re making! what a gorgeous milkshake!! 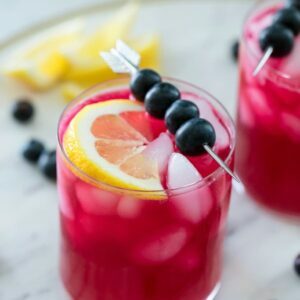 i imagine all sorts of lovely variations with different berries all summer long! Oh my word- the COLOR of that beauty! Need it! I love pie, I love milkshakes, it’s all win win. It’s also amazing how much blueberries change flavor when you cook them! LOVE the color here. It of course sounds like it probably tastes divine but I want to coordinate a shift dress to this. You are a genius, Sues!! What a gorgeous color! I just bought myself a Magic Bullet at Costco today and can’t wait to try this recipe with it. This and a some green tea every day wouldn’t hurt either 🙂 Hope you ward off any unwanted ‘bugs’! I’m stuck on the logic class thing. Please tell me more 🙂 Blueberries and vanilla ice cream are so meant to be together. And even better when in easily slurpable liquid form! 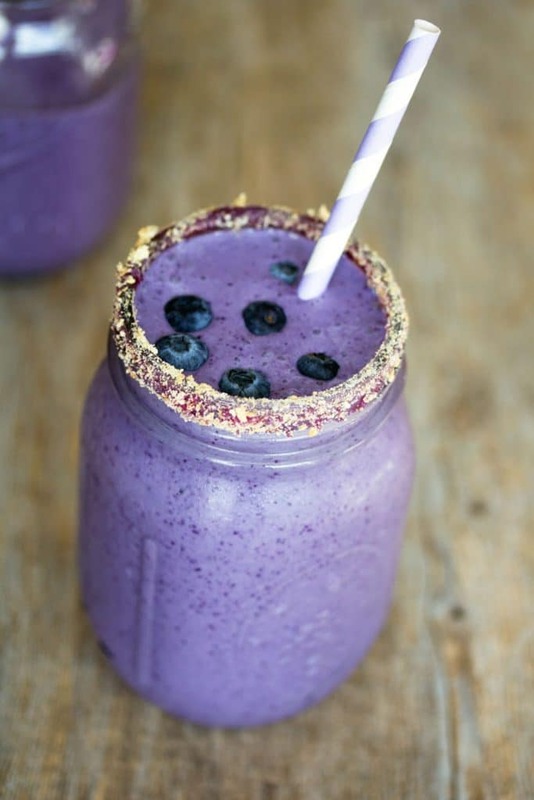 I love the pretty color of this pie milkshake! Look at that purple!! I just love that you got that shade with a natural fruit! Take that blue dye #87493. 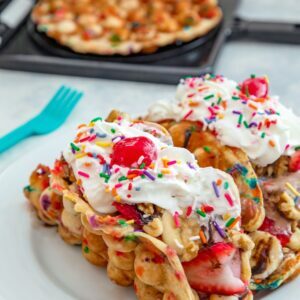 I bet this is delish! Pie in a jar sounds like a dream come true! Can’t wait to pick up some blueberries and turn them into a milkshake. It’s always been a dream of mine to liquify pie and drink it through a straw. This seriously looks amazing. Oh my goodness. that looks so tasty. I love “milkshakes” and could easily convince my self this one is healthy since its got so many blueberries! I will be licking the rim clean if I have that jar of milkshake in front of me right now:) Gorgeous photos! and I love purple on food! LOVE the color coordinating straw!! I drink your blueberry pie milkshake!!! Just look at the colour of that – I’m in love!